Identifying the right combination of solutions to find debt relief. Within the past few years, student loan debt replaced credit cards as the second largest source of debt for most Americans. Challenges with student loan debt can hurt your credit, damage your income through wage garnishment and prevent you from achieving goals, such as starting a family or buying a home. The information below can help you understand how to consolidate your student loans. If you have questions or need help finding the right resources to get out of debt, we can help. Although student loan consolidation must be separate from credit card debt consolidation, we can put you in touch with student debt consolidation specialist who can assist you. 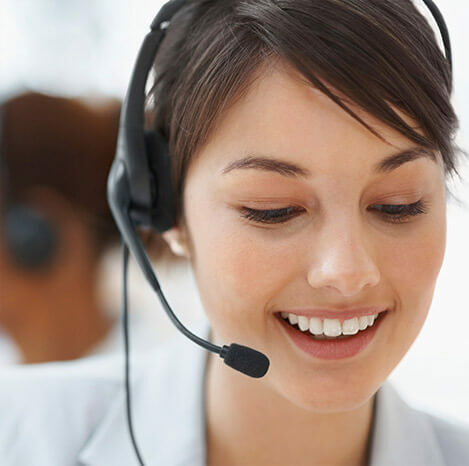 Call us at 1-888-294-3130. What are my options for federal loan consolidation? Direct and FFEL are two federal loan programs that provide loans to education borrowers eligible for financial aid. The FFEL program no longer provides new loans. However, it still exists to provide consolidation and repayment plans for FFEL loans that already exist. To use this form of consolidation, you need at least one Federal Direct or FFEL loan to use each consolidation loan respectively. If you have at least Federal Direct Loan, then you can use a Federal Direct Consolidation Loan to consolidate almost all of your federal loans. If you have at least one FFEL Loan, then you can use the FFEL Consolidation Loan to do the same. Neither type of federal consolidation loan can be used for private student loans. We provide options for private debt consolidation at the end of this guide. When you apply for a consolidation loan, all of the eligible debts you want to include are rolled into a single monthly payment. Basically you take out a new federal loan that covers the total cost of your eligible debt. You pay off your other loans, leaving only the new loan to worry about. The interest rate applied to the loan is a weighted average of the rates on your original loans. Once you use a federal consolidation loan, you can also move into a federal repayment plan described below. This can help you ensure your repayment strategy works for your budget and goals. A consolidation loan can also be used to pay off federal student loan debts in default. This brings your loans current, so you can qualify for repayment plans and forgiveness programs. In addition to consolidation loans, the federal government also provides 5 repayment plans that make it easier to repay your debt. A consolidation loan can simplify repayment by giving you a single debt to repay. But it isn’t designed to address challenges like monthly payments that are too high. This is where federal repayment plans help. This is the simplest and most straightforward repayment plan. It’s also designed to help you get out of debt as fast as possible. Eligible loans are rolled into a single, fixed monthly payment. The payment amount is based on how much you owe, in total, divided by the ten year term on the plan. There is also an option that increases the term to 25 years. However, although this lowers the monthly payment amount, it increases total interest charges. If you can afford to make the higher payments on the 10-year term, it’s advisable to do so. That way you can get out of debt faster and minimize interest charges as much as possible. This plan starts with lower monthly payments, but grows at regular intervals over the term of the loan. The idea is that the borrower needs lower payments to start as they deal with challenges of an entry-level salary. Then as you advance in your career, you receive raises and promotions. In other words, you have more money to repay your loans faster. This plan typically has a 10-year term. The initial payment is lower than the standard plan. However, after two years the payment amount increases by 7 percent. It increases by another 7 percent every two years after that. There is also an option to extend the term to 25 years. This is one of the hardship-based repayment plans the federal government provides for lower monthly payments. Hardship plans match monthly payments to your income level and family size. In the case of an IBR, monthly payments typically end up being roughly 15% of your Adjusted Gross Income (AGI). The term of this plan is typically longer than 10 years, but will always be less than 25. Each year, you must recertify your income and family size. As a result, your monthly payments may change if you earn more or less or have a change in your family size. Enrollment in this plan may make you eligible for Public Service Loan Forgiveness (PSLF) described below. This plan is similar to the IBR, except the monthly payment amount is slightly higher. Instead of monthly payments around 15% of your AGI, the payments typically equal out to around 20% of your AGI. Higher payments mean you pay off your debt faster, which can help minimize total interest charges. 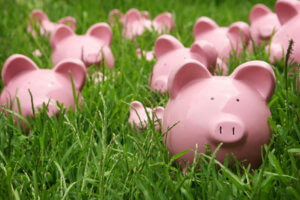 Just like the income-based plan, income-contingent also requires you to recertify each year. Your family size and Adjust Gross Income are reviewed and new payments may be assessed if your situation changes. This plan also makes you eligible for PSLF. This is the most affordable repayment plan out of all of those offered. It provides the lowest payments possible. Payments usually equal out to roughly 10% of your Adjusted Gross Income. However, if you earn an income that puts you below the Federal Poverty Line in your state, the payments may be even lower. In some cases of extreme hardship you may pay nothing without penalties until you have enough income to make payments. PayE requires that you have relatively “new” student loan debt. Loans issued prior to 2011 aren’t eligible. As with the other hardship-based plans, you must be reevaluated each year and your payment amount may change. This plan also makes the borrower eligible for PSLF if you work in the public service sector. In addition to consolidation loans and repayment plans, the federal government and various agencies provide several options for student loan forgiveness. This is where your remaining balances are erased without penalties once you meet certain criteria for eligibility. This forgiveness program is designed to help workers in public service careers. Teachers, nurses, and first responders are all eligible for loan forgiveness after 10 years. You must be enrolled in a hardship-based repayment plan for 10 years. Then your remaining balances are forgiven without penalties after 120 payments have been made. The IBR, ICR and PayE plans usually have terms around 20-25 years. So PSLF cuts the time to achieve freedom from debt by about half or more. This program is designed to address challenges that come with public service careers, where you often earn less. If you work in any military branch, whether you’re active-duty or a reservist or member of the Guard, you may qualify for military loan forgiveness. 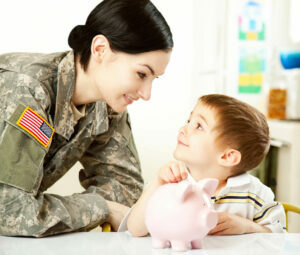 These programs specifically apply to Service Members, Reservists and Guard Members. They vary depending on the year and your specific situation and service. Like PSLF, once you qualify the remaining balances on your loans are forgiven without penalties. All of the programs above apply solely to federal student loan debt. However, private student loans can be just as problematic. Like federal student loan debt, private student debt can’t discharged by bankruptcy. It also doesn’t qualify for the programs above. You can consolidate private student loans using a private student debt consolidation loan. You take out a new loan that covers all of the debts you currently owe. 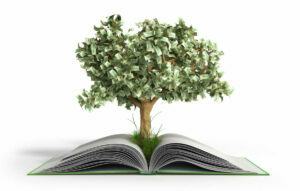 The funds you receive are used to pay off your original loans. This leaves only the consolidation loan to repay. The interest rate and terms for a private consolidation loan will be based on your credit score and what’s offered by the lender. Private consolidation can used to consolidate both federal and private student loans. However, most experts warn not to consolidate federal student loans with a private consolidation. It converts federal debt to private, making you ineligible for repayment plans and forgiveness programs. 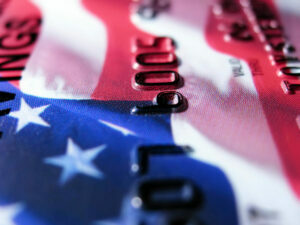 Can I consolidate student loan debt with credit card debt? No. Although you can consolidate both types of debt, you can’t consolidate them together. You must consolidate credit card debt in one consolidation plan and student loan debt in another.